This is what is called a "Great jumping-on point for new readers." 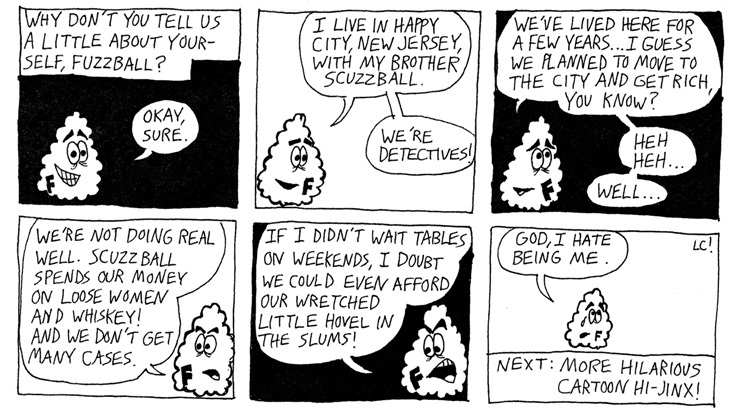 See how Fuzzball explains the premise of the comic? Now you know everything you need to know. Also, this comic is several years old, and I didn't have an electronic version, so I had to rescan the original. Even with the contrast cranked up, the solid blacks aren't entirely solid. Kids, don't ink your comics with Sharpies--they won't age well.